Now before you get angry at De Niro, remember what he does for a living—he is a screen actor, he “emotes” words that were thought of and written by others. It’s career described by Marlon Brando as an empty and useless profession. 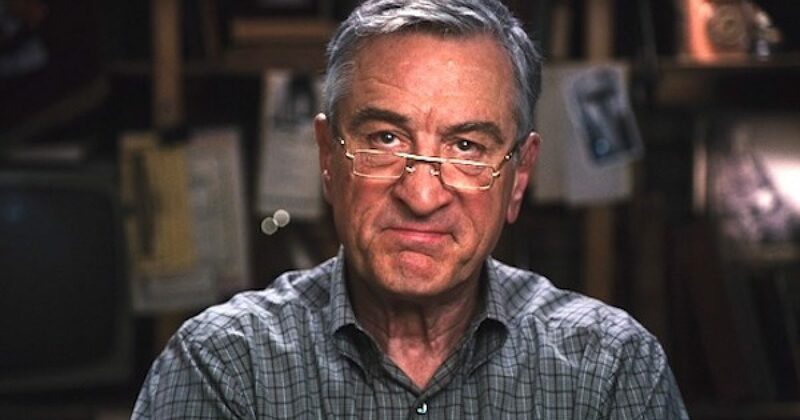 This is not to say all screen actors are imbeciles, or that it’s an easy profession but when you understand the extent of De Niro’s vocabulary rarely reaches beyond “F” bombs and that as part of his job he gets to learn a few lines at a time, say them over and over on camera until the director says he did them correctly, one can surmise that this is a man who couldn’t spell cat without the “C” and “A.” unless it was written in a script. Yes DeNiro, I am talking to you! Do you ever notice De Niro objecting to a particular Trump program? Or explain what plan he would recommend instead? Never, he just spews curses and insults, because providing an intelligent response to someone’s policy requires something he doesn’t have–intelligence. On the bright side, De Niro is a man who never has to fear a Zombie apocalypse. After all, Zombies eat brains and based on his lack of vocabulary it is clear that Robert DeNiro is deficient in that area.